You are here: Home › News › Electronics Recycling › PC RETRO IS OFFERING CHRISTMAS LIGHT RECYCLING! Do you have a pile of burned-out Christmas lights? Are you replacing your traditional Christmas lights with new energy-efficient lights? This Christmas season, don’t throw out your old light strands. RECYCLE THEM AT PC RETRO! Our holiday light recycling programs take your old strands and recycle the components that they are made of. 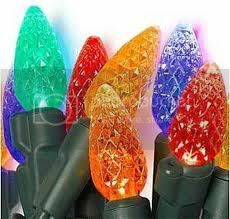 All 4 of our locations (Glen Burnie, Beltsville, Falls Church and Alexandria) will accept holiday light drop offs until at least January 15. The friendly staff at PC Retro will assist you with the removal of the lights from your vehicle and send you away with a smile.